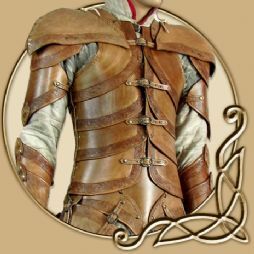 From Medieval LARP armour to utterly fantastical and mythological suits of leather costume, TheVikingStore offers a ride variety of LARP armoury designed to resist the blades of LARP weapons and your foes. 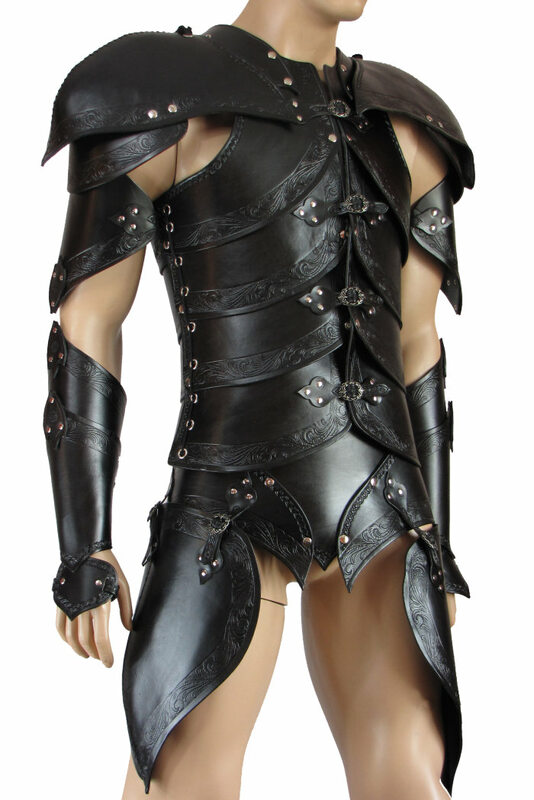 The Elf Noble Armour is an ideal costume piece for warriors, rogues, assasins, warlocks and more. Made of natural 3,2mm (8oz) leather, the leather is chrome taned and has high water and dirt resistance. Its also very durable too. 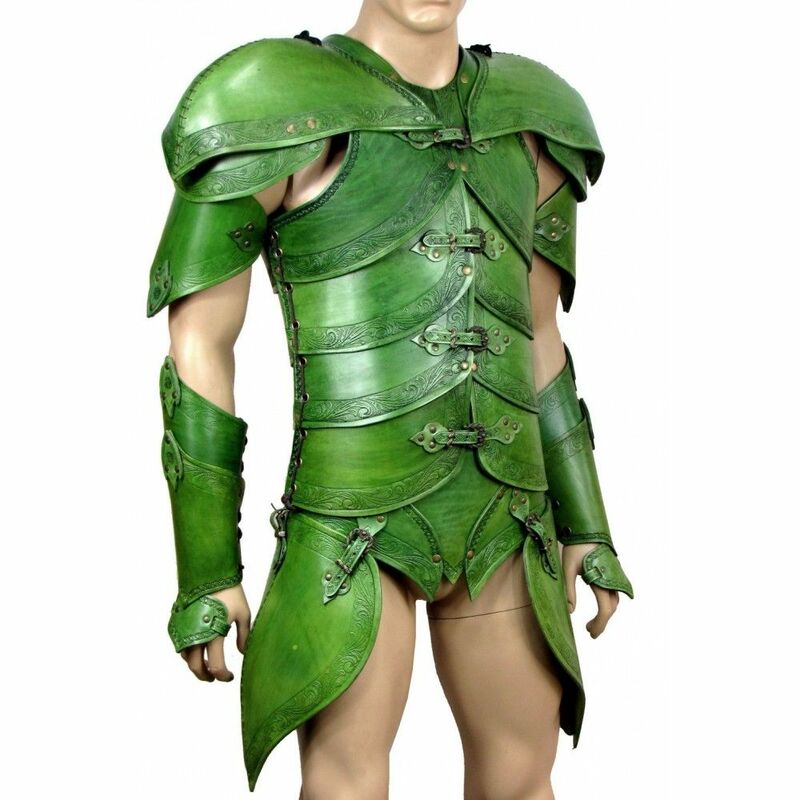 The armour has wide adjustable size range. Upper Leg Protection / Hip protection. We offer you a guarantee of 2 years, including the service of our products. The guarantee covers breaking of the rivets, clasps, and belts, and tears of the leather. The guarantee does not cover broken fastening lacings and damage resulting from our products being improperly used. 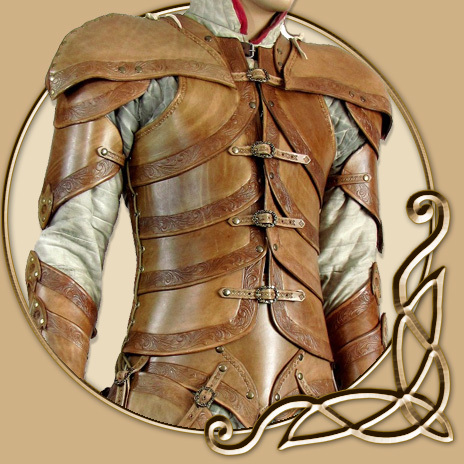 Like all items made of leather, they should first and foremost be protected against dampness. Natural leather may rot when soaked in water for a duration of time. After every use, the product should be returned to its natural shape and dried. Usually dispatched in 8 - 12 weeks. Usually dispatched between 4-6 weeks.